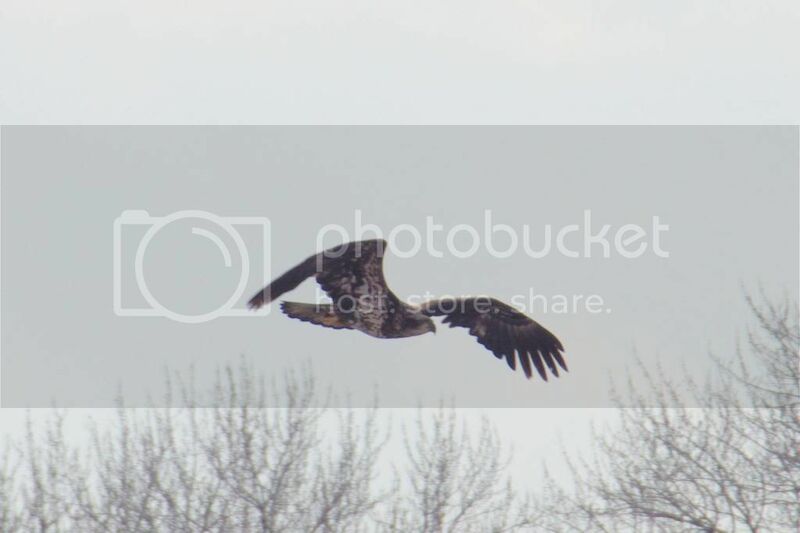 Heartland Outdoors Forum | Juvenile Bald Eagle or Osprey? Juvenile Bald Eagle or Osprey? 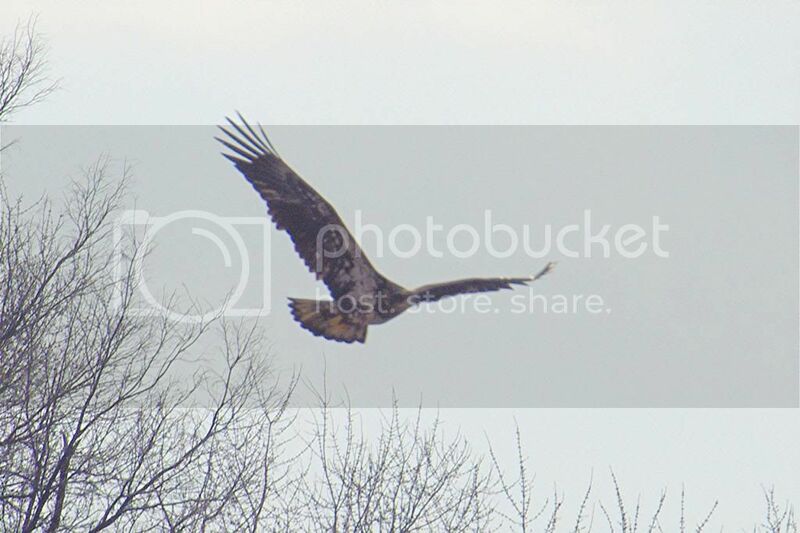 im pretty sure its a juvie eagle, but the dark streak down the side of it’s head makes me wonder. Juvenile bald eagle, it’s not uncommon for them to have a stripe like that. Also, I dont believe Osprey are winter residents in Illinois. Typically most Osprey are seen between mid March and the first of November in Illinois. Although with the Spring migration getting close who knows. Nice shots as always. Heres a eagle shot of mine with that stripe.